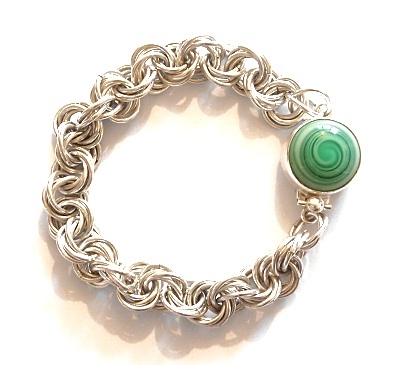 This bracelet uses large Sterling Silver jump rings in a 'flower' or 'twisted' chain. I finished the bracelet using a decorative clasp featuring a glass button. This chain is one of the ones taught in my Chain Maille Class.